no! it's brave and funny and we look forward to it every day! Hey you inspired me to actually publish a book that delves into a lot of insecurity and darkness I have. Keep doing what you're doing for those of us following your footsteps! 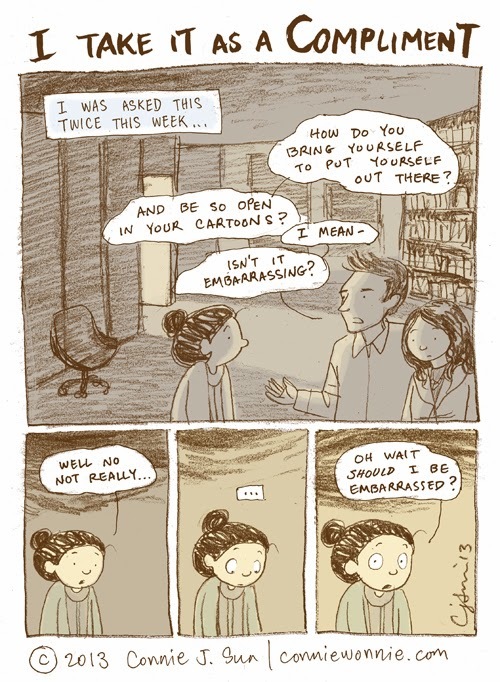 But what I do know is that your cartoons make me feel less embarrassed about my own failures.